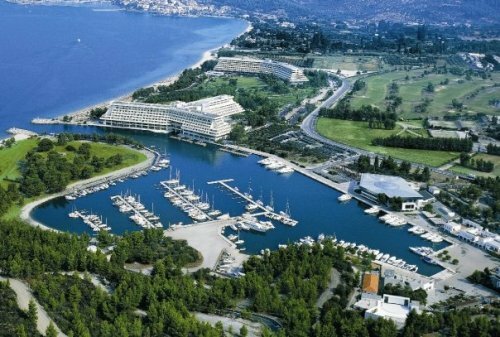 A FIDE Arbiters’ Seminar is going to be organized from 27 October to 2 November 2015 in Porto Carras, Halkidiki, Greece, by the FIDE Arbiters’ Commission, in cooperation with the Greek Chess Federation and the Thessaloniki-Halkidiki Chess Clubs Union and under the auspices of FIDE. 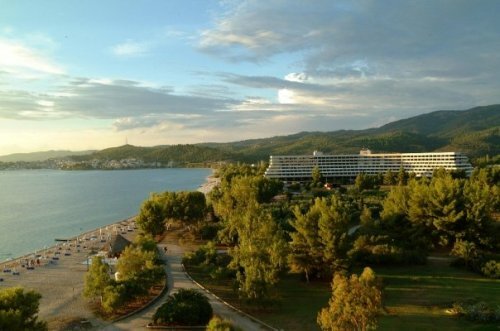 The Lecturer will be IA Panagiotis Nikolopoulos (GRE), Chairman of the FIDE Arbiters’ Commission and FIDE Lecturer and Assistant Lecturers will be IA Argiris Kitharidis (GRE) and IA Ioannis Mitrou (GRE). 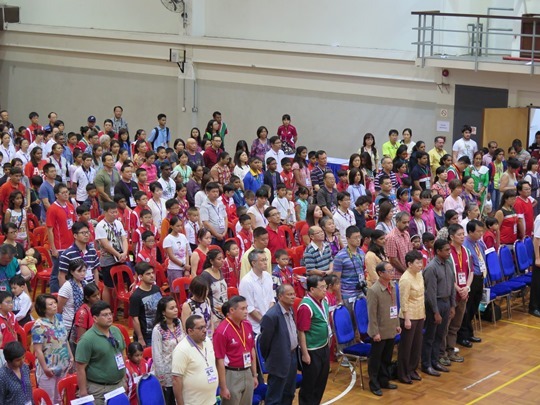 The Seminar will be held parallel to the 2015 World Youth and Cadets Championships. 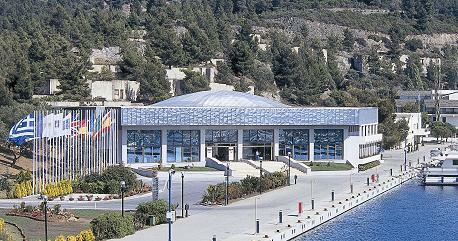 The venue of the Seminar will be the Congress Hall of the Porto Carras Grand Resort (5*). The language of the Seminar will be English. 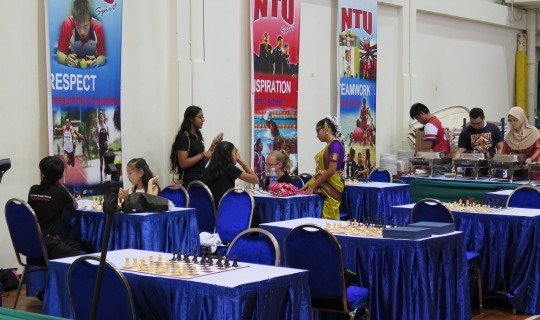 A total of 360 players representing 19 countries now in Singapore for the 11th Asian Schools Chess Championships held at Nanyang Technological University from 30th May to 8th June 2015 has started the first round of play! 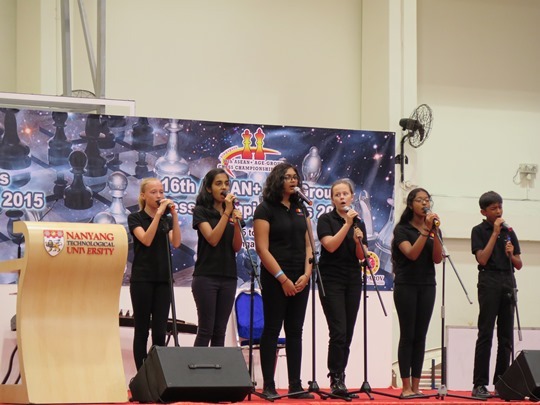 This followed a 45 minute opening ceremony graced by Ms Chan Lai Fung, Permanent Secretary, Ministry of Education Singapore with over 600 people in attendance and full of performances by young local performance arts talents. 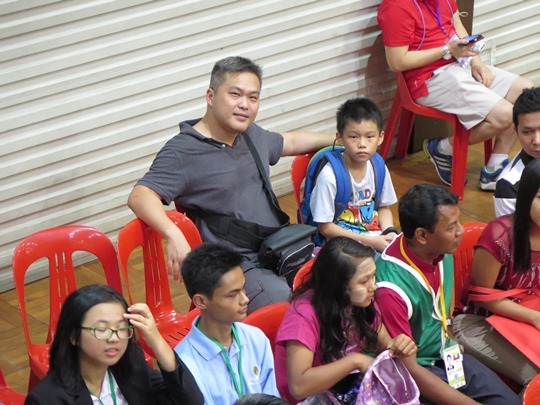 Ignatius Leong, Singapore Chess Federation (SCF) President and Chairman of the Organising Committee welcomed the participants and expressed his hope that on days with single rounds the opportunity would be taken to visit the many attractions of the Island state. 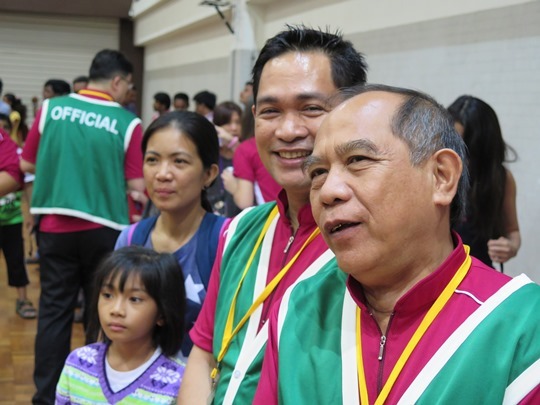 Leong also took pride in stating that Asia was proving that they could lead world chess and was its future, pointing out that not only are Asians world champions at all levels of the game but also winners of Olympiads and World Team Championships for both men and women. 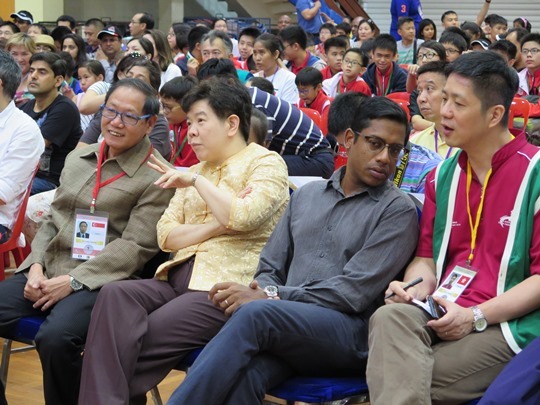 He also noted that with when the Asian Schools Championship was held in the East, not only were the numbers of local players high but the percentage of foreign players was almost 80% of the total. 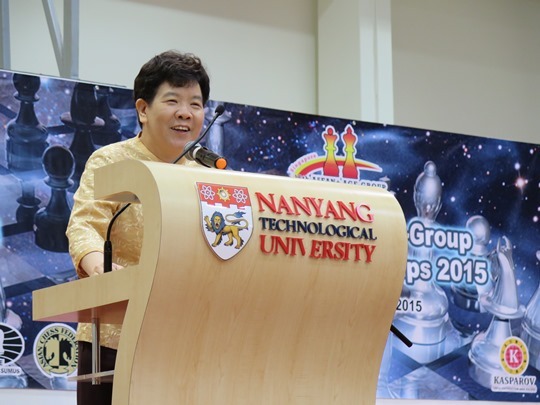 Chan Lai Fung, herself a Woman International Master, then gave her keynote address which reflected fondly of her time in the game when every hour outside of school was spent on studying and playing chess, something she observed was still much what young players in the game still did today. She also acknowledged how much chess had helped her, in particular teaching humility which comes from eventually losing a game and at the same time resilience as mistakes could not be dwelt on too long and one had to fight hard again to overcome weaknesses and be successful again. As always the ceremony ended with player representatives and the Chief Arbiter on behalf of the technical team taking public oaths undertaking to conduct themselves with sportsmanship and to uphold the integrity of the game. On May 5th GM Magnus Carlsen played a blindfold simul on three boards as part of the 2015 Sohn Conference, an annual fundraiser for the research, treatment and cure of pediatric cancer. 37th Nezhmetdinov Cup 2015 LIVE! The 37th Rashid Gibiatovich Nezhmetdinov Cup is taking place from 31st May to 8th June, 2015, in Kazan, the capital and largest city of the Republic of Tatarstan, Russia. The event is a 9-round Swiss tournament. 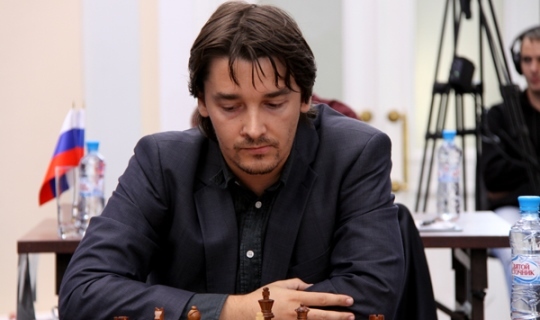 Top seed is Russian player GM Denis Khismatullin (2666). Joint leaders Grandmaster (GM) Bassem Amin of Egypt and GM Mohammed Al-Sayed of Qatar overpowered their closest pursuers to increase their lead after Saturday night’s fifth round of the 3rd Arab Elite Chess Championship – Kirsan Ilyumzhinov Cup, the most prestigious individual chess tournament in the region, at the Sheikh Saeed Bin Hamdan Al Maktoum Hall of the Dubai Chess and Culture Club. 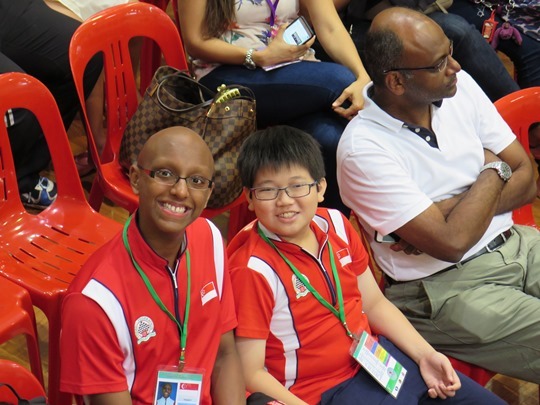 The top-seeded Amin conquered the Sicilian Defence – Najdorf variation of the UAE’s Fide Master (FM) Saeed Ishaq in 32 moves. The Emirati player, who is looking for a GM norm in this event, declined an offer to win the Egyptian’s rook for a knight on the 16th move, fearing a swift counterattack by Amin’s more active pieces on both sides of the board. However, Amin’s energetic play eventually forced Ishaq to accept the unsolicited gift four moves later albeit in an even more unfavourable circumstance as all of white’s forces were already poised for the offensive. A tactical sequence then allowed Amin to convert his positional edge to a winning material advantage. 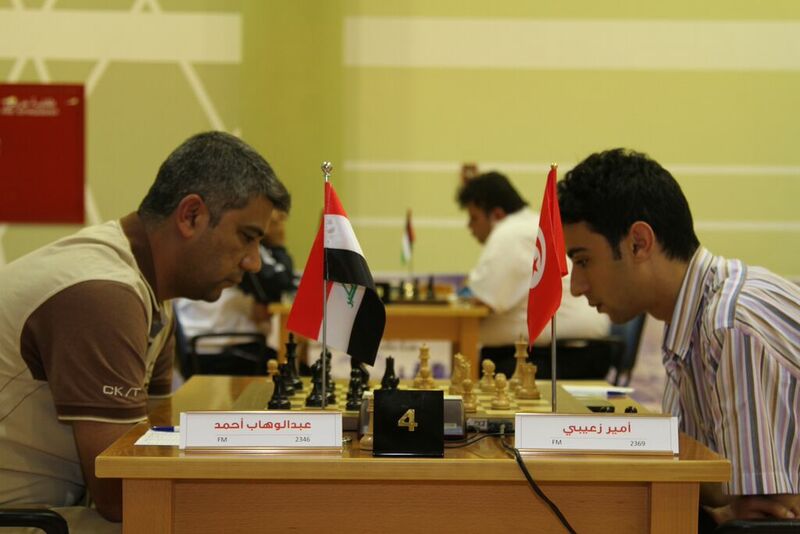 The third-seeded Al-Sayed needed 41 moves to overcome International Master (IM) Basheer Al Qudaimi of Yemen in another Sicilian Najdorf encounter. Orchestrating the offensive from the black side of the board, Al-Sayed pushed his d-pawn to the d5-square on the 13th move to punish white’s lacklustre opening play and wrest the initiative. A series of piece exchanges left white with a weak pawn on c3, and although Al Qudaimi was still holding on, an over ambitious pawn capture on the 23rd move weakened the Yemeni’s h and f pawns and gave Al-Sayed new targets on the kingside. Al-Sayed penetrated white’s fortress with his queen on the 30th move and sealed the win with a tactical flurry shortly thereafter. On the third board, the second-seed GM Salem AR Saleh of the UAE continued his pursuit of the leaders with a 51-move win over GM Mohamed Haddouche in yet another Sicilian slugfest. Saleh upped his total to 3.5 points, a full point behind Amin and Al-Sayed. Also with 3.5 points is Tunisia’s FM Amir Zaibi, who defeated Iraq’s FM Ahmed Abdulsattar Abdulwahhab. A much-awaited encounter between the top two seeds will unfold in Sunday’s sixth round as Saleh takes on Amin at the top board. On second board, Al-Sayed will be the heavy favourite against the seventh-seeded Zaibi. In other results, Moroccan IM Abdelaziz Onkoud won over FM Husain Ayyad of Bahrain, Candidate Master (CM) Ahmed Abuzied of Sudan defeated Ali Shamas Salim Issa of Oman and IM Sami Khader stopped a three-game losing slide with a win over Palestine’s Abdelkadei Sharabaty. Libya’s FM Ali A. Elmejbri and Saudi Arabia’s FM Hamoud Al Nhier drew their game. 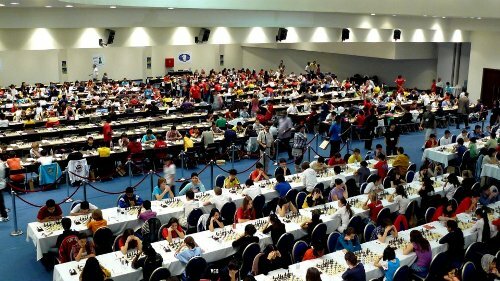 Meanwhile, Ahmed Khalifa Al Thani, Secretary-General of the Arab Chess Federation, assured that the Arab Elite Chess Championship – Kirsan Ilyumzhinov Cup will continue to be held every two years in accordance with an agreement with International Chess Federation (Fide) President Kirsan Ilyumzhinov. Al Thani also revealed plans to organise a similar event for women Arab players. He also noted that the event aims to promote unity in the Arab region as he thanked the 15 countries that sent their best players to compete in the championship. Al Thani said the Arab Chess Federation will support tournaments organised by different Arab countries, including an event that is expected to be held in Morocco in October. The tournament drew 16 participants from 15 countries: UAE, Qatar, Bahrain, Egypt, Jordan, Saudi Arabia, Oman, Palestine, Tunisia, Morocco, Algeria, Libya, Yemen, Sudan and Iraq. All tournament games are being broadcast live on the Dubai Chess and Culture Club website (www.dubaichess.ae) and other popular chess sites. TV sets have also been set up at the club to show the games. The tournament offers a total cash purse of US$20,000 for the winners, with US$8,000 and the Kirsan Ilyumzhinov Cup going to the champion. The rest of the top five finishers will receive US$ 5,000, US$3,500, US$2,000 and US$1,500 respectively. 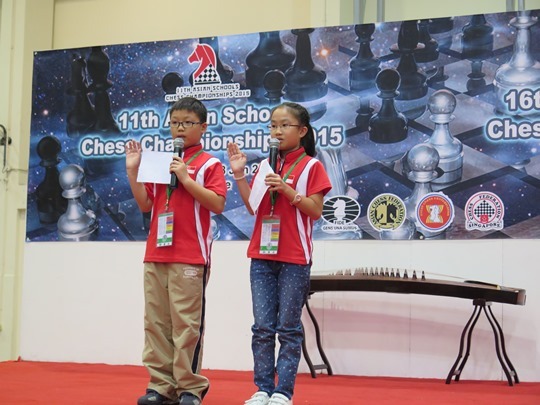 11th Asian Schools Chess Championship LIVE! 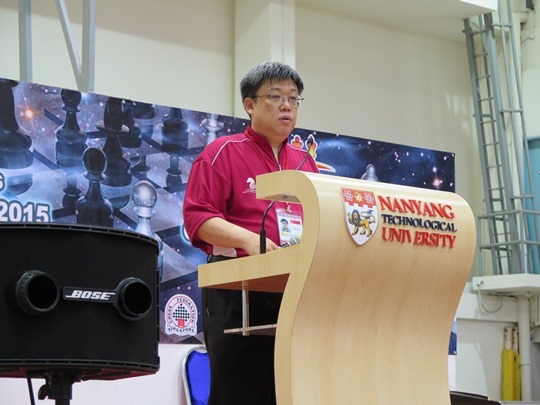 The event is organized by the Singapore Chess Federation (SCF) and gathers nearly 350 participants from 20 countries to the playing venue at Nanyang Technology University (NTU) in Singapore. 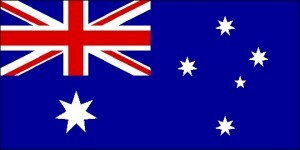 The 2016 Australian Women’s Masters is set to take place from 14-22nd January, 2016, at the Melbourne Chess Club, 66 Leicester Street, Fitzroy, Melbourne. All interested players are invited to apply to participate in the 2016 Australian Women’s Masters. The top ten applicants rated over 2000 FIDE will be given a place in the field. Others will be added to the field of Reserve players, and may be invited to the Masters event if places are available. Average rating of the Masters players will be approximately 2100 FIDE. As in the past, appearance fees will be paid to titled and international players, and free billet accommodation will be provided in the home of a local chess player or organiser where possible. Masters format is 10 player WIM-norm round robin. The format may be changed to a 6-player double round robin if required for WIM norms. Time control: 90 minutes for 40 moves, followed by 30 minutes to finish, with 30 seconds per move starting from move one. Please contact IA Gary Bekker, gbekkerchess@gmail.com, or IA Jamie Kenmure, jchess7@gmail.com, to register your interest. If there are any interested parties that are also wanting to sponsor the event, please use the same contact addresses. 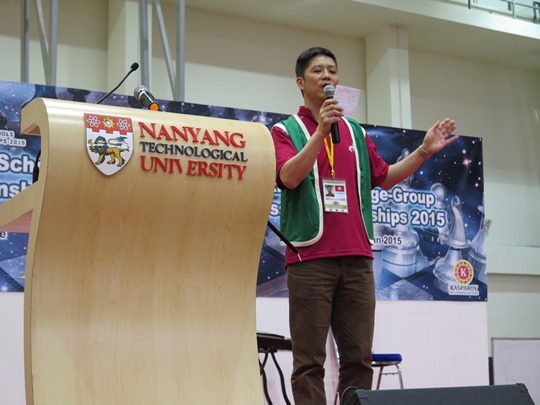 You are currently browsing the Chess blog archives for May, 2015.